What would the construction of a wall mean for animals that live near the border? Free movement between the US and Mexico - the hottest of topics in the 2016 US presidential campaign - is not just a human issue. What would the construction of a wall mean for animals that live near the border? In June 2015, from the lobby of the building that bears his name in Manhattan, the businessman Donald Trump announced his intention to run for the Republican presidential nomination. One of the pledges he made during his announcement was to construct an impenetrable barrier running the length of the US border with Mexico. It would be, Trump said, "a great, great wall on our southern border". As the Republican primary progressed, his wall pledge became a literal rallying cry, with supporters shouting "build the wall" at public appearances. Trump, of course, subsequently secured the nomination. His wall proposal, symbolizing his position on immigration, has sparked heated debate. But it mainly centres on the wall's economic feasibility, social consequences and ethics. Very few people have been talking about what it would mean for wildlife. The US-Mexico border region is a delicate ecosystem located between two biomes, with regular animal and bird migrations moving between the north and south of the American continent. 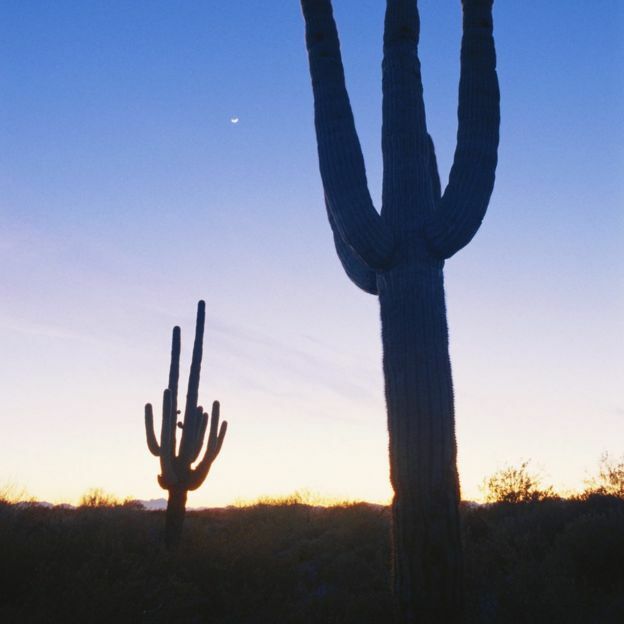 It is home to a diverse population of mammals, birds and plants, including the iconic American roadrunner and the saguaro cactus, the cinematic symbol of the American southwest. The dry, desert ecosystem also supports cougars, desert bighorn sheep, the endangered North American jaguar and the ocelot - which is down to its last 50 animals in southern Texas. Animals are susceptible to artificial borders of various shapes and sizes - not just walls but highways, train tracks and all sorts of man-made infrastructure. 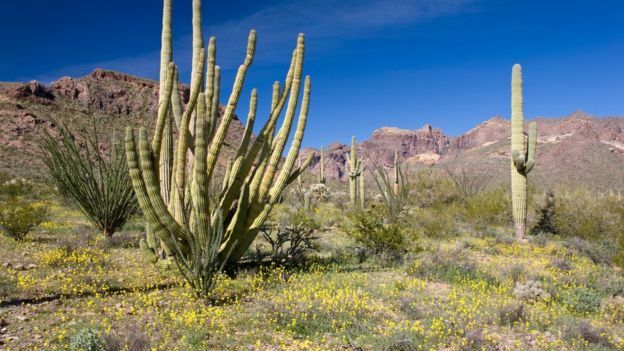 "Border infrastructure not only blocks the movement of wildlife, but... destroys the habitats, fragments the habitats and the connectivity that these animals use to move from one place to another," Sergio Avila-Villegas, from Arizona Sonora Desert Museum in Tuscon, told Science in Action on the BBC World Service. Restricting the size of mating pools can decrease genetic diversity, making animals more susceptible to diseases. Human barriers can also disrupt pollination and disturb watersheds and waterways, sometimes leading to floods that can also destroy habitat. There are countless historical examples, including Antelope Valley in California where tens of thousands of antelope perished in the 1880s because they were unable to cross newly laid railway tracks. In the US-Mexico border region, a number of species need to cross the border to mate with their genetically different cousins, including the endangered North American jaguar. Black bears, which were re-introduced to Texas in the 1990s, would be threatened without being able to mate with Mexican bears. Dr Clint Epps, a wildlife biologist at Oregon State University, said species had been crossing the border for 3-20 million years and a physical barrier would fundamentally alter that situation - and that change would have consequences. "For some species, like desert bighorn sheep, you have decent populations on both sides of the border. But they depend on those movements for maintaining genetic diversity, for recolonising habitat where they've suffered local extinctions," he explained. According to Dr Epps, that freedom will become even more important as the climate continues to warm and species need to move around to find suitable habitat. A complete barrier could lead to a loss of local species - or even to speciation, the creation of new, distinct species as a result of populations being separated. Mr Avila-Villegas said a complete, physical barrier would have "effects for the ecosystem as a whole". There is already a barrier between the US and Mexico. It is permeable, but distressed animals have already been observed, including the mountain lion and bobcat. Even birds, such as the low-flying pygmy owl and land-loving roadrunner, have been affected. Currently, about 40% of the 2,000-mile (3,200km) border is fenced. Much of this construction has taken place since the Secure Fence Act was passed in 2006. Designed to deter illegal entry into the US and the smuggling of illicit drugs, the boundary is a disjointed but significant series of barriers. In some places there are impassable fences, but some of the obstacles are designed only to stop vehicles; people or animals can cross. 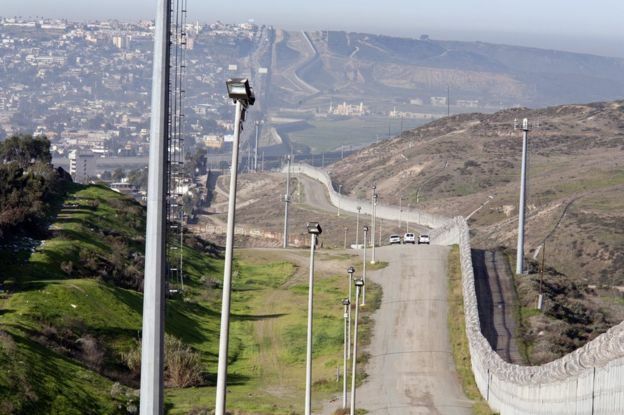 Sensors monitor incursions and constitute a "virtual wall", supplemented by an increasingly active Border Enforcement Agency presence and even Minutemen, civilian militias patrolling border areas for illegal entry. It is not just the physical barrier that affects wildlife. Roads have been built for enforcement personnel to access the area, and helicopters and all-terrain vehicles - with their lights and sirens - are increasingly abundant. Construction of a wall, which Trump has said would be 10-20 metres of solid concrete, would mean a substantial increase in human activity: many more roads, heavy machinery, workers' barracks and waste. It is difficult to be very precise about how this would affect the region's wildlife. There is little baseline data and the border area is increasingly hostile for researchers and conservationists. Scientists have reported difficulties with access, and frequent interruptions by border agents requesting explanations and credentials - as Mr Avila-Villegas and Dr Epps said in an interview with Nature last week. Mr Avila-Villegas told the BBC: "With the heightened law enforcement and patrols spending time along the border, it is not easy for a researcher. For example, if you work with owls, that's work you do at night, or if you're hiking looking for evidence of wildlife it gets the attention of law enforcement. "Every time I travel along the border I have to explain not only who I am and where I work but what kind of work I do, why I'm along the border and why I'm taking photographs." History also shows that the consequences of human barriers can be unpredictable. In the 1950s, 3,000 miles (4,800km) of fencing was put up in south-eastern Australia. The so-called Dingo Fence was designed to prevent wild dogs attacking farmers' sheep, and it succeeded in doing so. But because the fence also spared kangaroos from dingo predation, there was a massive increase in their numbers - which turned out to be even more problematic for the sheep. Kangaroos are also grazers and compete with the sheep for pasture. Australia also has the world's longest single, continuous fence: the "rabbit-proof fence", commenced in 1901 and stretching some 1,100 miles (1,800 km) across the country's west. Before it was completed, rabbits escaped into the agricultural areas it was meant to protect, necessitating a second and, later, a third fence. During the Cold War, East and West Germany were separated by a series of fences, walls, towers with gun turrets, dog runs and alarms. Designed to keep people separated, this thin, 800 mile (1,200km) strip of no man's land became an unintended nature preserve. After the wall came down, scientists identified dozens of species that had become endangered in western Germany, thanks to intensive farming and construction. The area has since been incorporated into an important green belt running through central and eastern Europe. Perhaps the most famous human barrier of all, the Great Wall of China, has not had a major effect on wildlife movements. Constructed at different times in Chinese history with the intention of protecting agricultural Chinese communities from incursions by nomadic barbarians from the north, the Great Wall is actually a series of different constructions rather than a single barrier. In many places it is not, in fact, a wall - but mounds of pounded earth, degraded in many sections by erosion and by locals using building materials and goats. There, it is just a bump on the landscape. In other stretches, however, the wall was indeed built to be completely impregnable. At Juyong-guan, just outside Beijing, a team of Chinese scientists conducted a study on plant species on both sides of the wall and found that it was indeed a physical barrier to gene flow. Many historical human barriers had unintended ecological consequences, and did not have the benefit of environmental impact studies. Even in recent cases, the environment is often not a priority. In the US, the 2006 Secure Fence Act - under the auspices of the Department of Homeland Security - waived a number of environmental laws, including the Endangered Species Act, in order to expedite an extension of the Mexican border fence. From hedgehog tunnels in Holland to koala nets in Australia, major human barriers nowadays are frequently accompanied by land-bridges, tunnels or passing areas. 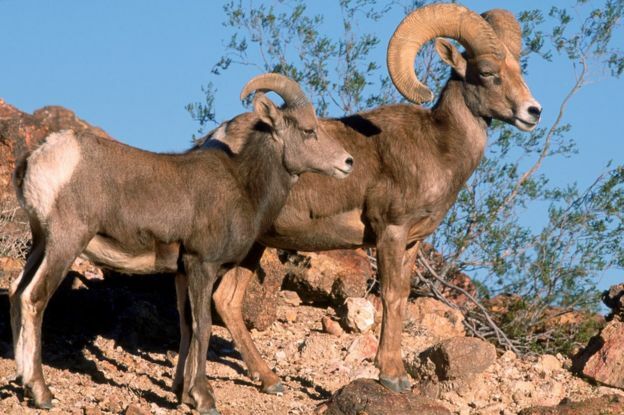 Given, however, that the stated purpose of Trump's wall is to stop the movement of people across the border, it is unlikely to incorporate passing areas for vulnerable large mammals like the desert bighorn sheep. 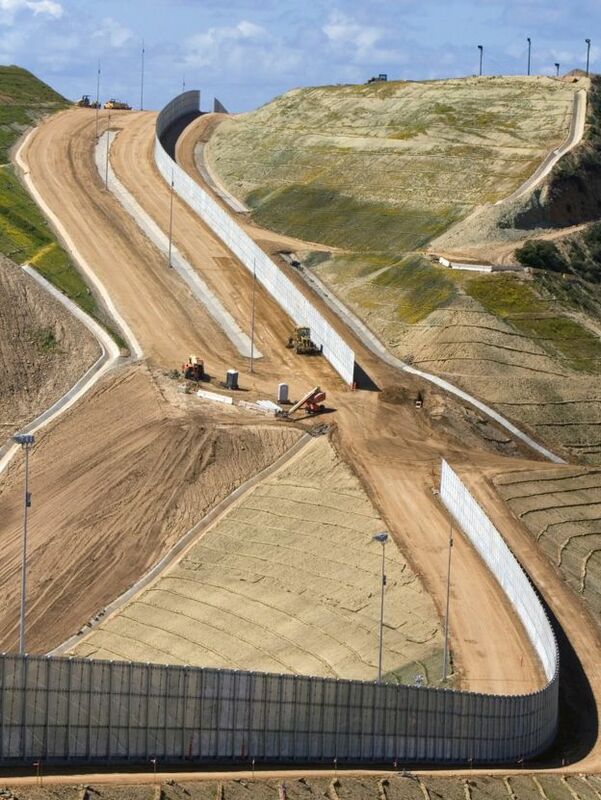 A large and people-proof wall is, inevitably, a major ecological intervention.